The bonus is definitely below average, and the lowest we have seen since 2017. Unless you really need the miles now, it is worth holding out for a better offer. This guide covers MileagePlus’s redemption opportunities and shows how deals like this are good for First and Business Class travel to Asia. One of the best uses of United MileagePlus miles is to fly THAI First Class between Australia and South Asia (encompassing Southeast Asia in the award chart) or Japan for only 65,000 miles one-way. If you are departing from or connecting onto another flight in Bangkok, you’ll also get a complimentary one-hour massage at the Royal Orchard Spa. 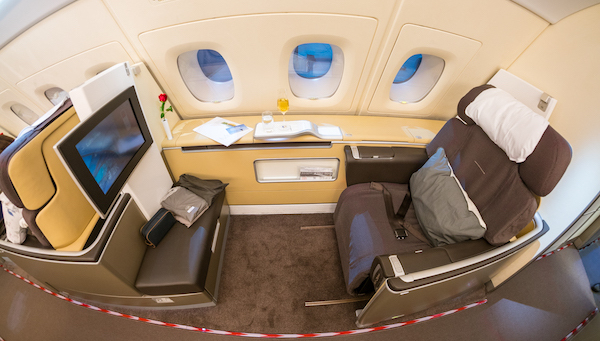 You can also use United MileagePlus miles to experience Lufthansa’s A380 first class. The offer is a little different, in that United are not clearly publicising the ‘percentage’ bonus, rather than ‘number of miles’ bonus – bound to lead to some confusion, but easy enough to convert. Buying the maximum 104,478 MileagePlus miles would yield a total of 174,478 miles including the bonus for US$3,930.98 (includes taxes), equating to a cost of ~US2.25 cents per mile. The maximum number of miles you can buy per year has also been boosted to 175,000, including those offered as part of a bonus promotion. Note: United MileagePlus miles expire after 18 months of inactivity in your account, so make sure to keep your account active by earning/redeeming miles regularly. United Airlines aren’t regarded as one of the world’s best airlines—far from it. My wife and I flew from Singapore to Hong Kong in their First Class cabin and it was, well, nice but that was it. It wasn’t out-of-this-world (like Singapore Airlines Suites Class), or even a warm and delightful experience like THAI Business Class. However, this isn’t a guide about flying United Airlines. Rather, it’s a guide to using United Airlines miles to fly on their three strategic partners in our region—Singapore Airlines, THAI and Air New Zealand. The reason that we are not focusing on buying United miles to travel on United-operated flights is because MileagePlus has instituted dynamic pricing for travel from 15 November 2019. This means that the best-value redemptions for MileagePlus miles is from travel on their partners. The cynical part of me wants to say that airlines try to confuse people with a bait and switch of good promotions with bad promotions. Maybe this is true, maybe it’s not. 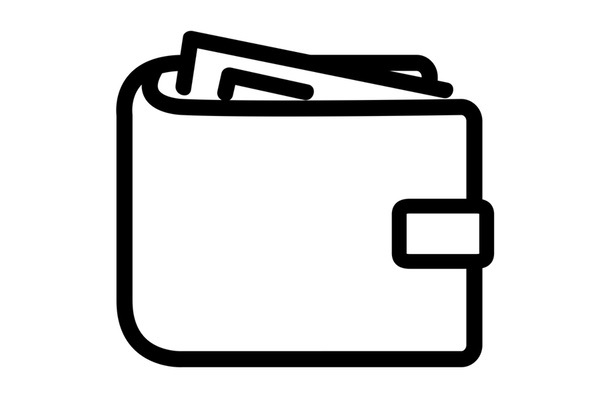 What is certain is that they run a lot of promotions and they vary greatly in value. Let’s look at the three types and how they work. Transfer miles: when you can transfer miles from one account to another (like a partner or friend) and you get a discount on the transfer price. This can have its own benefits but we’ll leave it out of the analysis for this article. Bonus miles: when you buy a certain number of miles and you get some percentage extra, usually tiered where the more you buy the higher percentage you get. Discount miles: when you buy a certain number of miles at a discount—it becomes cheaper than if you bought them during a non-promotion period. The biggest mistake you can make is accidentally thinking that a 50% bonus promotion is the same as a 50% discount promotion. I’ve been caught out on this before and paid much more than I should have. To be clear, only 100% bonus is equal to a 50% discount promotion. That is you are buying 2-for-1 at normal rates or paying half the price for the number of miles you need. Different airline mileage programs work differently. Some like Qantas Frequent Flyer and Virgin Australia Velocity offer a ‘distance-based’ award. This means that each trip fits into a distance ‘bucket’. Sure enough, most places fit just inside the more expensive bucket than you would like—the loyalty programs are operated at a huge profit. However, United Mileage Plus (and others) use a location-based (sometimes called a distance-based) award chart. That is, that Australia to South Asia is the same price, regardless of city. ‘South Asia’ covers the main hubs of Singapore and Bangkok and finishes west at Bangladesh (but not India) and north up to Hong Kong. China, South Korea, Taiwan, Mongolia and Japan are not included in this and are a little more expensive. The full United award chart can be found here, in interactive form. You can also look into Upgrade Awards—those where you have purchased a ticket and use your United Miles to upgrade the ticket. There are strategies to take advantage of the upgrade awards but in my experience, there are too many moving parts for most people’s travel hacking appetite. Aim for full award tickets but in the ‘saver’ category for best value. You can buy a maximum of 175,000 Mileage Plus miles per account, per year. If you need to cancel or change your booking, you’ll be up for a fee of US$75-125, depending on how close the change/cancellation is to your departure date. Full details of change fees here. Researching award availability—as you should do before you purchase any miles—can easily be done over at united.com, with United’s own site being one of the best in which to look for Star Alliance award availability. When you hack a $2000+ fare for less than $800 you might need to negotiate something. Flexibility. Unfortunately, it can be common that the destination you want to go to, at the time when you want to go is simply unavailable. This happens. If you search in Asia, United will only show you THAI, Air China and United Airlines. They also can offer you Singapore Airlines but don’t show this online so when you’re researching, ensure you give them a call to confirm if there is a Singapore Airlines flight on the day you want to book. They do have a phone booking fee and can be a little pushy to try lock you in. Firstly, if they tell you about a flight that wasn’t online, tell them you don’t want to pay the fee because you would have chosen this flight online if they showed it – their fault, not yours. Secondly, if they try and make you commit, feel free to say you have to speak to your partner/lawyer/dog before you commit. A ‘First Class Saver’ fare from Singapore to Sydney (via Bangkok) was 40,000 points per person (now 65,000 miles as of November 2017). However, United has an unofficial policy that if there isn’t availability for all legs of the trip in the desired class, you get a reduction in the points required. In our case, it was 35,000 points. A word of warning: when booking it will tell you if part of the trip is flown economy or business (if booking first class). You will find that this trip will cost 35,000 points even if you fly economy from Sydney to Bangkok and then first class to Singapore. If this was Business/First it would be okay—but Economy wouldn’t be worth it. If we were travelling with kids then maybe the additional stop in Hong Kong wouldn’t be an ideal transit, however, we managed to fly on the United First Class, Thai Airways A380 First Class (wow!) and finally a Thai Airways Business Class back to Australia. Adding the extra flight to Hong Kong was only an extra 5,000 points per person, and we had two first class flights replacing a single business class flight. Why not? For two people, this entire flight cost 70,000 points + $100 USD, and I bought those points for $1,446 AUD. With this disruption during my first United points purchase, I accidentally purchased the wrong number of miles — only enough for myself and not for my wife—whoops. Unfortunately, the program had ended and there was no more discount. I emailed United Airlines ([email protected]) and explained that I meant to buy 80,000 miles instead of 40,000 (total) and that I’d like to take advantage of the discount because they blocked my transaction. No problems here—they let me make another purchase as an honoured the discount. MISSED OUT? NEXT time? Love Todd’s tips & alerts, eg Business Saver only. THANKS PH! However, if like me, a relative newbie, you missed out on buying in this promo, lost time in glitches, these extra search tips MAY help for next promo time (MUST do before buying, as PH cautions) for us less-seasoned searchers. Watch out for United’s website that can catch us out, unaware, require manual over-rides eg:- search for BNE (Brissie) & it sometimes shows you BKK (Bangkok) in next page stage (! ); search a new date a month later, say, but it insists – next page – on the date you previously used; search Business, change some detail, like weekly calendar to monthly, & it reverts to ‘economy’ in the search box, regardless; BUT SPECIALLY, searching via the interactive global map approach can 1) show availability on the monthly calendar, but not when you click on that date & NB 2) GIVE QUITE DIFFERENT RESULTS, SOMETIMES, from this way, advised by their web support folk:- start on their home page, change to US$ at the top, click Book with Miles and get ‘real time’ availability! Note, however, seems we cannot limit results to other Star A. carriers, to help dodge flying United. Love to hear from other members if we can…or more seasoned searching tips for my next time. Hi James, I can see availability restored to THAI as of today, as well as Asiana. Is there another airline that you are having trouble with (other than ANA)? See Status box at the start of this article. Hi, would you mind please notifying readers of the current situation of United blocking point redemption for TG, SQ, TAP Portugal and a few other airlines, especially when announcing their points discount. Thanks. Hi Rose, thank you for alerting us to this. I have done some research and added the latest info under the Status tab at the start of this article. It seems that United no longer shows availability for Thai Airways? This is really interesting and great value if you get the points at the right price. Is there options to fly beyond Asia with the miles, eg Europe? The Buy Mileage Plus links in this article do not seem to be working and I cannot find any reference to the bonus mileage sale on the United website. Was the offer perhaps only made directly by email to eligible Mileage Plus members? Hi Mike, the links seem to be working from our end—very strange. Yes, this offer was targeted by email, so not all members are eligible. Keep an eye on your inbox and/or the next public offer. Thank you for sharing this. It’s sometimes hard to know if a promo is targeted or not. I’ve updated the guide accordingly. Hey – is anyone else having this website display weirdly? Like its been de-linked from a database? I found this link on the PointsHack.nz site. Thanks for the article! I just discovered this website and am incredibly excited of the possibilities! Am thinking of purchasing miles on my UA MileagePlus account and redeeming for my parents. I won’t be travelling with them. Just checking that UA doesn’t have any funny rules prohibiting use of your miles to book for other people? I did this last year and it was no problem to buy two tickets in someone else’s name. I did not travel with them. This is weird but it seems there is no award travel for Business and First between SYD to either BKK/HKG/SIN between Mar18-Jul18. Is the website doing maintenance or the availability is really non-existence since the promotion? Hi i purchased the miles with united and somehow they replied me saying that my order is cancelled without any valid reason. Is there anyone know what’s going on? 85 * 1000p/US$35 = US$2975, not US$3,198.13? Is my maths wrong, or are there additional taxes when buying points too? Are there any easy tips to find award flights in First Class? United’s search tends to be among the best for Star Alliance flights. It’s easy to use and tends to show most availability. For finding First Class flights, it depends on the origin and destination. There will be certain routes with no first class cabin, and others which are only first class on some aircraft and therefore some certain flights. You could use United to find the paid First Class schedule, then use the award tool to find the points availability. That’s how I would approach it. Good luck! Recently booked SYD-BKK-MUC-JNB-DUR in First-First-Biz-Biz for ~ AUD$3400 for May 2018. Just wondering how many miles did you burn for these flights? I’m quite puzzled here – while searching for two sectors separately, I see there is availability in F class but when I do a single search (SYD-MUC) it only shows mixed-cabin availability. And did you book this through the United’s award search website? Similar to Peter above I’m only being offered a 50% bonus- is this because I only signed up today? Be alright if you could find availability from Perth to Auckland in business class. How does united stack up in an around the world star alliance redemption ticket you would think around 150k miles should get you far in J???? Great offer! United really likes to give people bang for their bucks! If you have a lot of Amex Membership Reward Ascent Points (180,000) or a way to get lots of SPG, you can transfer the MR to SPG (2 MR for 1 SPG), then transfer back to Marriott (3 Marriott for 1 SPG) to get 270k Marriott Points. You can use the Marriott Points on a travel package and you will get 132k Miles + 7 night stay at Cat 5 Marriott Hotel. No 74% tier for us. Do these points work for business class flights from Aus to Europe? Understandably you may need more points, but perhaps they could be collected over two deals that offered? Hi Shafhold, thanks for the kind words. Yes the same principles apply. The key restriction would be the max number of points you can buy per year (150,000). Ideally you would be looking to optimise each leg of the trip independently. So it could make sense to use this type of promo to get there and another alliance/airline to come back. Or you could buy the points speculatively each year for a big redemption. At 100% bonus (the best they do) this might be worth it, but it still is risky if they devalue the points in the future. 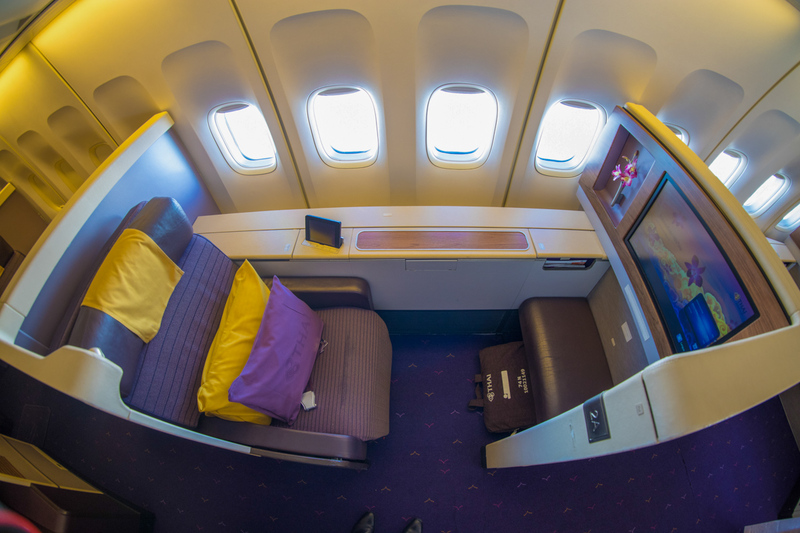 Everyone should fly Thai Airways First Class ex-BKK at least once in their lives. It is a unique and fabulous experience. Based on the current promotion each point is ~2.15 US cents or ~2.87 points ($AUD). Based on a return business class ticket to South Asia this equates to ~$1720 AUD (60000 points x 2.87 cents). 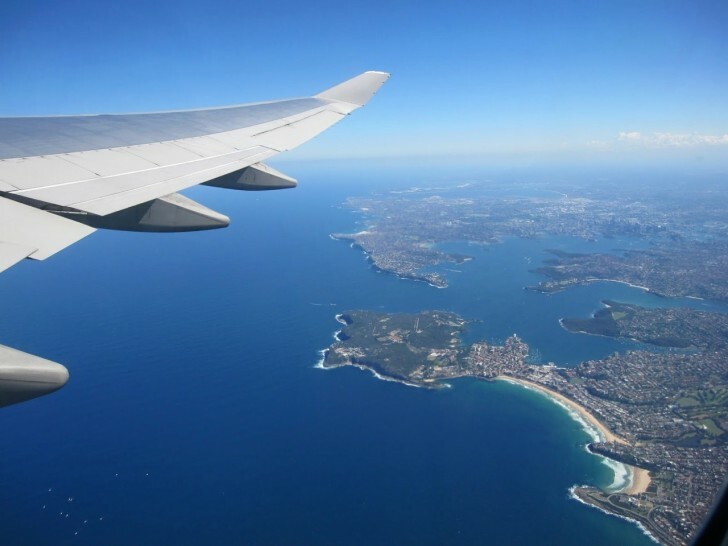 An economy airfare can be had from anywhere from $700-$1000 AUD. Whilst $1700 is a pretty good price for business class, I don’t think the above quote is particularly true when the price in points is still almost double the cost of an economy ticket. Or am I missing something? H Ryan, thanks for pointing this out. The statement is still somewhat true, but varies depending on your price sensitivity. When I purchased my miles, it was at a 100% bonus which tends to happen about once per year. The current promo isn’t quite as good. The AUS/USD was also around 80c-85c when I purchased, which made it a bit cheaper too. But mostly, I usually redeem one-way award fares, which would be $860 in your example instead of maybe $350/400 in economy. On this basis it’s totally worth it. Considering a return redemption, I would personally take it but if I was ‘buying’ the miles for myself AND my wife return…well it’s easy to question whether the entire experience is worth it. I’m with you on this one. Thanks Todd, I thought I was getting my sums wrong but understand where you’re coming from. Yes the AUD/USD rate is a killer at the moment. A few years back when we were at parity, 2.15 US cents = 2.15 AUD cents which would make a return in business at $1290. Now that would’ve been a bargain ! I love reading these articles. Thank you! I’ve looked to the best of my ability (that’s not saying much…), but I wasn’t able to figure out if the miles have expiry? I know Kris Flyer miles have a rolling expiry of 3 years, and believe Virgin doesn’t expire. What about United, or Qantas? In several articles I see “buy only when you have a specific redemption in mind”, but when the time comes around, a promo may not be handy. Plus, I am a family of 4, so need lots of miles… is it worth buying and holding? Planning a trip from NZ to UK – but flexible on the Europe end. Once in asia (which is pretty good value AKL to Asia for 30k) whats the best sweet spot to get to Europe? So you could buy these miles and use the points to fly to the US from Aus rather than Aus to Asia? But I take it that it’s better value flying to Asia using the point purchased? Hey Matt, yep you sure could. However flying on United isn’t the most glamorous experience. If that’s your intended route than it’s also considering any open opportunities to fly Qantas using American Airlines miles or AsiaMiles. Checkout the other points guides on Point Hacks for those. I did fly United First Class once and it was pretty average. Am considering flying to the US in early May, 2017 and wanting to buy points either for Business or First Class for myself + wife. Is United the way to go or AA, considering the imminently expiring mileage buying promotions? Any thoughts on what availability will be like? Destinations in the USA will be SFO &/or NYC. Many thanks in advance for a prompt answer and appreciate your thoughts. Honestly, I’m not the best person for availability or optimisation between Australia and the US. Most of my travel is Asia and Europe. I would suggest reading the guides here on Point Hacks as there are some good comparisons for redemptions and availability. Generally, I look for availability FIRST and then consider buying the points. Unless I have experience with claiming at a later date and know that availability ‘opens up’, I wouldn’t speculatively buy points. Sorry I couldn’t be of more help on this matter Darshak. hi Todd, can you actually use this to book a stopover from Europe to Australia without 2 separate fares (ie Europe to Asia and Asia to Australia), I did a dummy search and it allowed me a 3 day stopover in Japan but when I tried it longer it wouldn’t let me. Have tried to book Singapore airlines flights ex Melbourne to Singapore twice now and their customer service is adamant that at no stage do Singapore Air release Business or First class redemptions to United. Asked if they release them last minute or for any other airport in Aus to Singapore and the answer was still a firm “no”. Does anyone have evidence that disputes this claim? Start your search on Singapore Airlines to ensure availability, then look to see if it’s bookable via Virgin Velocity. With that in hand you should be able to call United and say that you know the partner seats are available because Virgin will give them to you. Now to be honest, I’ve flown Thai airways 4 times and each time has actually been pretty good. It was twice in First Class (A380 and 747) and twice in Business (777 both times I think). Not sure what the status of their aircraft is at the moment, however the flight from SYD-BKK was still worth the points. If you can’t get the MEL-SIN flight worked out, see if the MEL-BKK-SIN works for you. Or alternatively, I just saw you could fly to Aukland and fly Air New Zealand. Check Point Hacks reviews for that flight. One last tip: I remember when I flew I did a combination of United and Thai airways in first and business and it turned out only a fraction of the cost more than business (maybe 5k points extra). The benefit here was getting access to the Thai Airways Royal First lounge (massage and all!). You may need to call and see if they will give you a first ticket on one leg of the trip that will ensure you get access during the layover. Hi. Am looking to fly to dublin or London from Sydney on 26th dec and returning mid jan. Best tactic? Is your trip specifically using United miles or is this a general question? When you say ‘give them a call’ do you mean call United on their US and Canada number listed on their website? What’s the cost of a call to this number from Aus? Hi Greg, I called their US number using Skype. Can’t imagine it would have used any more than $1 or $2 of Skype credit. Might be other ways too. I was looking at the current offer and the 100% bonus gets you to 150,000 miles for about AUD$3,800. The only problem is that a business class flight to the U.S is 160,000 miles and you can only buy 150,000 miles per year. Hey Ben, the current offer is definitely the best you can get! I’m considering topping up myself. First point is that I did a search PER – LAX and it showed ‘Business Saver Award’ as 80k miles per person one-way and 175k for ‘Business Standard Award’. Never book a standard award unless you have absolutely no other option. I’m assuming you’re looking at the 80,000 x 2 for West Coast return, or for two people. 1 – this isn’t ideal if you want to travel/book before next year. But worth mentioning anyway. 2 – From Australia you could fly to the following (kinda) close places to earn the additional miles and credit them back to United: New Zealand (Air New Zealand), Thailand (Thai Airways), Singapore (Singapore Airlines), Japan (ANA), China (Air China or Shenzhen Airlines), India (Air India), Korea (Asiana Airlines), Taiwan (Eva Air). In this scenario you could consider doing a status match (if you have another status with any other airline) to boost your earning potential during the match period. If you don’t have status, it could still work (just slower). As the earn rate is based on dollars spent, the standard 5x $ spend could be increased to 8x if you could do a Gold status match challenge. 4 – this could be the best case if you have a friend or family member who buys the miles under their account (think they already need account before the promotion…) and they book your return ticket. I did this for Keith (of Point Hacks) where he used my United Miles to book his ticket. It was for a trip within the next year and wanted to go all out on this one! It looks like option 4 is the only feasible one here. It is for 2 people so would need 320,000 miles. The only problem is that you don’t get the economics this way because the less miles you buy the more expensive they are. You can’t use 150,000 miles per account and somehow pay for the remaining 10,000 when you book I assume? Okay so one way you could do it is buy 80k miles between you and your partner and then 80k miles in the accounts of two friends/family members (who you trust). In that way you could each book your outbound tickets and then use your friend’s accounts to book your return tickets (independently). There is the risk you may be seated separately but there’s a good chance you can convince the checkin staff that you want to sit together. That makes use of the most efficient point rate without any waste. Just need the UA accounts! Another option would be to fly direct at least O/W with United as as this only requires 70K Miles. All other Star Alliance partners require 80K Miles AU/NZ to North America. If booking a return award, you could even do there direct with United for 70K and return via Asia with a short stop-over on Star Alliance partners for 80K at a total of 150K Miles each. Just a thought if you’re wanting to go all out. Sorry I’m probably just not up with all the lingo here. How can you fly United to the U.S. from Perth for only 70k points? I didn’t know that was possible. Ben, Clayton’s suggestion was a good one I didn’t think of (doh!). It’s 70k miles from the East Coast of AU to North America. i.e. you could fly to Syd/Melb and then fly out saving you 10k points each way and per person. Not sure how the number stack up here but using a free flight that you get with Amex cards is one option. The other suggestion Clayton put forward was that if you flew out from East Coast AU it would only be 140K points per person. Therefore if you did buy 150k max points per person, you could consider returning via Asia for only 10k points more, hence better ‘value for money’. Super-valuable discussion here for WA Australians! Hi Ben, sorry should have clarified direct flight from east coast needing a one way revenue connecting ticket, but return journey for 80K via Asia back to Perth. Not ideal but saves purchasing an extra 10K miles and perhaps better than having to open extra accounts and book 4 O/W awards or having to pay to buy points and then pay again to transfer points over to another account to book a return. Should be able to be booking on United with the Multi-city search tool and I’m sure would still allow the one free stopover for return award bookings. 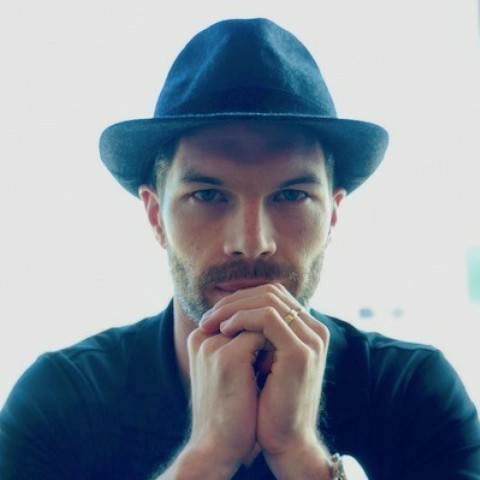 Great idea also from Todd for West coasters to utilise an Amex Platinum edge free return flight for connecting onto alternative options from the east coast. Thanks guys. Never thought of that. Could easily use QFF to get from Perth to Syd/Melb for the first leg so that would be no problem. What I can tell you is that it is not easy finding the United-only 70k awards from Syd/Mel to NY. For example, in April 2017 it is all mixed cabins. However, looks like there is availability to LAX from SYD fairly easily at any time. One more q – if you book that across two separate accounts as would be necessary here (150k points per a/c, generally is it easy to combine the bookings later so we sit together? I wonder if anyone has done this with United before…. The LAX/SFO – NYC direct is always difficult to find business/first award options because the Americans always snap them up as domestic awards quick. If you can’t find availability when you want it try looking at 2 sectors i.e LAX/SFO-ORD & ORD-NYC. Try a separate search on United LAX/SFO -NYC and the engine should display all indirect options which you can then take note of the connection that best suits your arrival time into the US from AUS. Also getting to NYC via a domestic connection in J will allow you to access the United lounges too as the entire journey involves an international sector, where as if you were forced to take a direct LAX-NYC flight in Y they likely wouldn’t let you into the lounge, but you’d still be paying the same amount of miles. As far as sitting together, not sure if you can join the individual bookings but as you will be flying business you will be able to pre-elect your seats so can make sure you select seats together. Sorry long winded answers but there are many ways to get around things and the United award search engine is one of the best IMO. Thanks for all the advice – lots of work to do! Are the fees really high if you book Singapore Airlines flights with United miles? I know they are if you book with Krisflyer. Are stopovers available on these flights? I am trying to get from Perth to Shanghai in business but all of the options seems to have long waits at the airports (10+ hours). If that has to be the case I would rather spend a night as a stopover rather than sit at the airport for that long. Hey Philsta, it looks like you can book from PER – SIN – PVG. However the united site doesn’t typically show the Singapore Airlines availability. You might have to call them. Look for availability on Singapore airlines website to get your flight numbers and call United to see if they can see this availability. Otherwise you probably have to fly to BKK and then onwards. Thanks for the heads up on this offer as I nearly overlooked it With taxes (wtf for international? ), this deal has a best rate of AUD 2.93c/mile. That translates to UAL rewards for Sydney- Heathrow in Thai First with great availability in back half of 2016 for around A$3000 return. Guess who plans to catch up with UK based friends? (UA MP *G Life.) ps Join ANA ff for better *A airline availability. I would love to know how you got 230000 United miles required for a F redemption from SYD-LHR for $3000 AUD? I can only see the 40% off offer, not this 75% bonus. I have been a member since last year with no points or activities. Anyone missing out on this bonus offer ? Yep I got the 40% off too. They are usually targeted. This offer appears to be targeted as I still have the up to 40% off offer on my account. Can you use these points for flying on Air Canada? Maybe on the 787 flights ex BNE to YVR? Yes, and yes! If you can find space, of course. Thanks Todd. Luckily, Some dates were available when I called the call center, so will try to book via them and avoid any booking fees. Anyone (Keith?) had experience flying with Infants (under 2) on First/Business Class via United? United are quoting me ~800 AUD return for my infant (almost a third of the money I spent buying miles). Does that seem right? Finally managed to get business class tickets to BKK on Thai Airways for 2 adults and 1 infant (on lap) all up for around $4500 with taxes and other charges. Can anyone confirm if Australians have to pay the 7.5% Tax Recovery fee on the points purchased from United? Sigh…No luck trying to find any saver Business/First Class flights to BKK or SIN until Nov 16. Do they open up these award seats often, or is it all sold? If there is a chance they would open up more award seats closer to the travel date(Jun/July/Aug 16), I don’t mind buying the miles upfront. Hey Sids, it’s kinda a tough situation. You’ll find that Australia direct to SIN will never really show as Singapore airlines don’t let United Airlines put this on their schedule – you’ll have to call up. Thai airways will show flights sometimes to SIN via BKK but I’d suggest playing around with SYD-BKK to see what you can find and ringing up if you had a specific Singapore Airlines flight and date period you wanted them to check for you. If you do call, remember you shouldn’t pay the customer service fee because this redemption wasn’t possible for you to book online due to not showing availability. Yes, they do open up space as it gets closer. See my reply to Adam above. In our case we booked economy just because we wanted to do the trip but found we could effectively cancel and rebook the ticket in First class 2 days before liftoff. It can be hard to find space, but it will open up at some point. 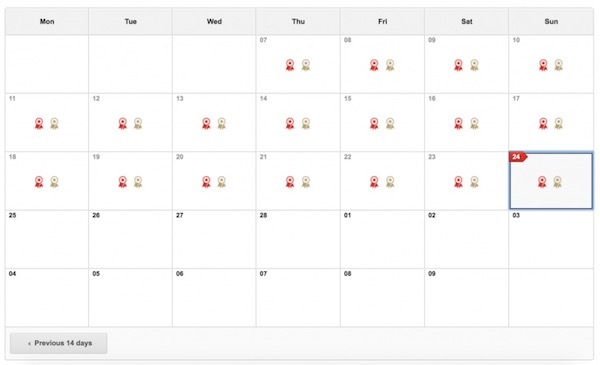 Some special events can mess with availability though. My wife and I just took advantage of the 80% bonus to book a trip to a nice island in the South Pacific, flying Thai & Singapore business via BKK/SIN. For the 2 x 80k points we bought, it cost a little under A$2.5k each including all fees and taxes (using a credit card with no currency conversion fees). We are stoked to have scored what we see as a good deal, but spewing this 100% bonus came straight off the back of the 80% promotion expiring. It cost us an extra US$350! Also, one leg of our trip (a short flight) is in economy. Whilst we are on the waitlist for upgrade to business, we pushed for the 5k point discount mentioned in the guide, but United wouldn’t give it to us. Not sure what you have to say to get this, but it didn’t work for me. Has anyone ever been able to squeeze some free points/extra benefits out of United for rolling out a better promotion immediately after another one? For the 5k point discount, I assume you mean the part where I wrote about adding on Hong Kong to the trip for an extra 5,000? If so, I did this at the point of booking, my experience is that they rarely accomodate requests like this on the ground during the trip – it all has to be done beforehand online or on the phone. I recently had an example where I booked 2 x economy tickets on Thai airways from BKK to Sydney because there was no Business or First class for the flight we needed to come home on. About 2 days before we took the flight (hanging out by the pool in Bangkok at this stage) I went online to find that first class availability had opened up. So I upgraded the ticket, paying with the extra miles I had in my account. If I’m buying tickets for both my partner and I, can I buy all the extra points on my account and then buy 2 tickets (for the 2 of us) as he doesn’t have a United account ? The website also says that it may take up to 2 days for points to be transferred to our MileagePlus account, what’s everyone else’s experience with the points appearing the account for usage, does it take that long? I’m a bit concerned as I can see availability on Thai Airways first class on the date we want but if they’re not there by the time I purchase we may as well use our Qantas classic award. Hi Irene, so sorry for the slow reply – I only just saw this one. The short answer to your first question is: yes! In my family, I buy the points and book tickets for myself and my wife. Thanks Todd for your quick response and useful link. I did some calculations and For 80k points will cost approx AU$2500, I did a search from Melbourne to Tokyo which cost 80k points plus taxes which is cheaper but not that much cheaper than purchasing a business class airfares (which will accrue frequent flyer points and allow me to choose my airline and route). I’m not sure if this deal is that good. Anyway, I was wondering if you had any good business class deals to the US? I was just interested in Asia but I’m flying to New York in January and dreading the long flight in Economy class. Please help. 1) I assume you either mean a first class one way ticket to Japan, or a return Business class ticket. In both cases, I assume you are referring to the ‘Saver Awards’, not ‘Standard awards’ which are much more expensive. 2) The Taxes should be about US$80 each way for an award ticket. 3) Pending availability, you ideally would want to Fly ANA direct, not via Thai airways which would require more time. However this limits availability. So at this stage it looks to be much better to go with the award ticket. Which airline could get you there for around the $2500 mark? 28. Mileage accrued shall only be subject to expiration on the last day of the eighteen (18) months after the last account activity in the member’s account. Activity includes flying, using your MileagePlus credit card and more (see rule 10). In cases where mileage is for any reason removed from an account, such as for the redemption of awards, and later returned, the return of the mileage to the account shall not count as account activity. So you should be fine. However I would suggest the not so obvious ‘expiry’ is when the programmes can devalue and push up the number of miles needed for a certain route. This happens every few years and although United did this at the end of last year, it could happen again. Best rule of thumb: buy when you have a specific route in mind, not speculatively. This offer doesn’t seem to exist? I still just see $35 per 1000 miles. Just checked again today on the bonus, i got 75% bonus miles from 30k – 85k, guess im going to buy this time and call for SIA flight for next year..
That’s awesome Annie. 75% bonus still makes the trip close to economy prices for business class. Rock on! Snagged a Thai Business Per-Bkk-Per on the exact dates I wanted in Feb/Mar 2016. Ex Rate a bit sick now but all up less than A$2k for a A$3.4k flight. Helped to have an existing UA/CO membership. My wife and I needed a very specific fare from Bangkok to Sydney next month and they only had economy. With gritted teeth I booked the ticket – using the points it was still cheaper than any other ticket I could have purchased…and I can always buy those points back. Travel hacking is as much about being open-minded and flexible as it is about snagging ridiculously great experiences. Have a great one Dave! You’re right, the promotion that was alive at the time of writing this article has now finished (31st Aug) however there should be another one coming up in the next month or so. Keep an eye on your inbox and United Airlines will send you something when it’s out. You’ll note that different people generally get different offers. However this isn’t based on any complex logic (as far as I can tell). I received the 100% bonus offer before I ever flew United, accumulated any miles, or really any activity. Then since I’ve had other sub-par offers, and more recently the 50% off. Hi Todd, I just created an account but I don’t see any promotions yet. It costs me over $5000.00 to buy 150,000 miles :-). Is there a promotion code you can share? Hey Annie and Dave! Hopefully reading the guide helped you out from not buying these miles at a not-so-good rate. As mentioned, it’s common they tailor the promotions so no doubt you’ll have a good one soon. @annie, you have to call to find out the availability of SIA. Or you could check on Virgin Australia for SYD-SIN who also show some of the availability that Singapore has available. However Thai Airways can also be a fantastic option, it’s just a little bit longer of a flight.